As search marketers, we put a lot of trust in Google to treat us equally in the SERPs. However, it seems that it is still quite simple to fool the massive search engine. Razvan Gavrilas highlights a few of the rich snippet hacks in a post. Get into the social science behind semantic search in this intriguing article by David Amerland, and how this can stand to benefit brands. We’re more than half-way into 2014, and there’s no question new myths on SEO has cropped since the year’s beginning. James A. Martin shares the top 15 SEO myths of 2014. Are you overwhelmed with the responsibility to increase your rank in search? Erin Everhart posts three ways to help you prioritize your SEO efforts. What kinds of content should you be sharing on LinkedIn, and which type results in the most engagement? Joe Youngblood gives us a high-level understanding of the different types and which ones end up being the most effective. Curious about what your competitors are doing on Facebook? Greg Miller elaborates on the “Pages to Watch” feature in a post. Check out 12 social media business shifts on Pam Moore’s marketing podcast! Jeremy Juhasz posts the five “P’s” to social media marketing success. Sooner or later, the local businesses who don’t invest in search marketing are the ones who get left behind. Myles Anderson presents 14 great statistics as to tell you why. Don’t forget to optimize your local landing page for the search engines! Marc Nashaat lists six tactics to transform your landing page into an SEO machine. Check out an interview with the leader of a local marketing call tracking mechanism in a post by Adam Kreitman. Why does email marketing fail? There are several reasons you may have let slip from your awareness. A talk between AWeber’s Hunter Boyle and Barry Feldman is written up in an article. Could your microcopy be hindering your email marketing conversion rates? Improve your email with this post from Aaron Beashel. If you’re looking to learn from the professionals, you’ve come to the right place. Jacqueline Thomas points out the top 25 email marketing resources you can learn from. One-third of organic traffic is discovered to be from mobile devices. 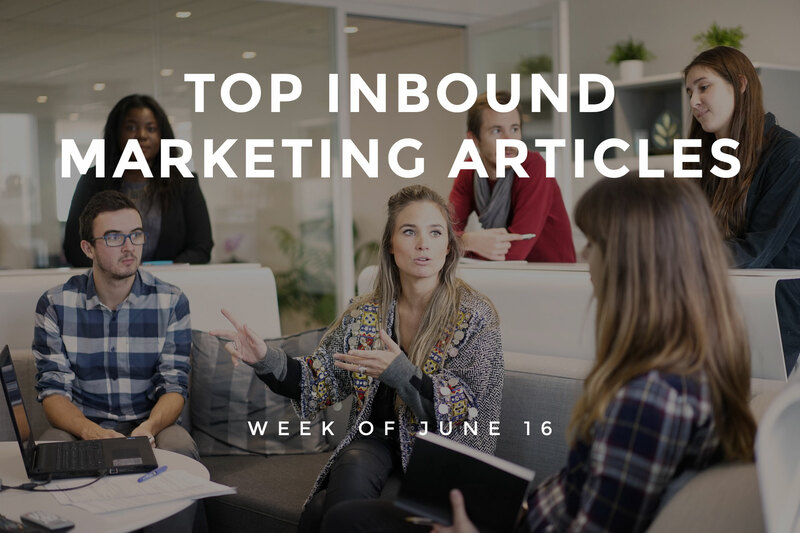 Get the full story from the people at MarketingProfs! Watch this short and sweet episode of the Mobile Marketing Minute with Rob Woodbridge and Greg Hickman! It should definitely help on your quest to own mobile. The great thing about content is that it can be repurposed for continued use. Yael Kochman shares the significance of repurposing, along with 23 tools to help you. Check out these notes from the Content Marketing Show 2014 written by Peter Handley. How can you improve your content strategy? By making a plan and learning from your competitors, you can significantly boost your content. Bill Sebald has the full rundown of how to maximize your content strategy. We’ve heard the phrase “content is king” thousands of times by now. Ramsay Taplin tell us why said phrase is a myth. Use these Google Analytics reports to discover where your site is leaking conversions in this post by Peep Laja. Igor Belogolovsky shares how simple visual plugins can increase your site conversions. If you’re looking to test your ad copy, make use of Google’s AdWords Campaign Experiments tool for A/B testing. Penelope tells us how in an article. Still don’t think customers are reading reviews of your company online? Think again. Vit and Christy show us that consumers are reading more than ever. Sandeep Thakur points out five things that your reputation management company might be doing wrong.